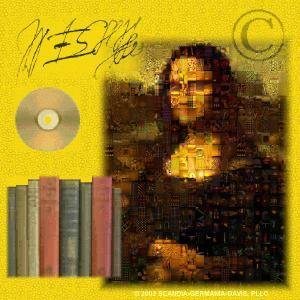 In the area of copyrights SCANDIA-GERMANIA legal services can help your company protect the results of its creative efforts by applying for and obtaining copyright protection for your work product. (Please see a few of the firm's representative copyright matters.) Whether your creative efforts are musical, artistic, sculptural, or literary in nature -- or perhaps a computer software program -- the firm can draft, file, and prosecute the appropriate copyright applications on your company's behalf. In addition, the firm can assist with securing and enforcing your rights in a copyright both domestically and internationally. For more detailed information regarding the procedures, requirements, and protections afforded by registering your creative work, please see some of the more frequently asked questions regarding copyrights. A law firm - law firms - lawfirm - lawfirms - attorney - attorneys - lawyer - lawyers serving the trademark - trademarks, copyright USA copyrights Minneapolis St. Paul Minnesota copyright litigation - licensing, governmental - lobbying, patents - patent litigation and infringement, international, internet, and corporate needs of companies in the United States - U.S., Scandinavia - Skandinavien, Sweden - Sverige, Denmark - Danmark, Norway - Norge, Suomi - Finland, Iceland - Ísland, Germany - Deutschland, Austria - Österreich, and Switzerland - Schweiz as well as the Twin Cities of Minneapolis and St. Paul, Minnesota, USA. This website is available in English, German - Deutsch - Austrian - Swiss, Swedish - Svenska, Norwegian - Norsk, Danish - Dansk, Finnish - Suomi, Icelandic - Íslenska, Scandinavian.